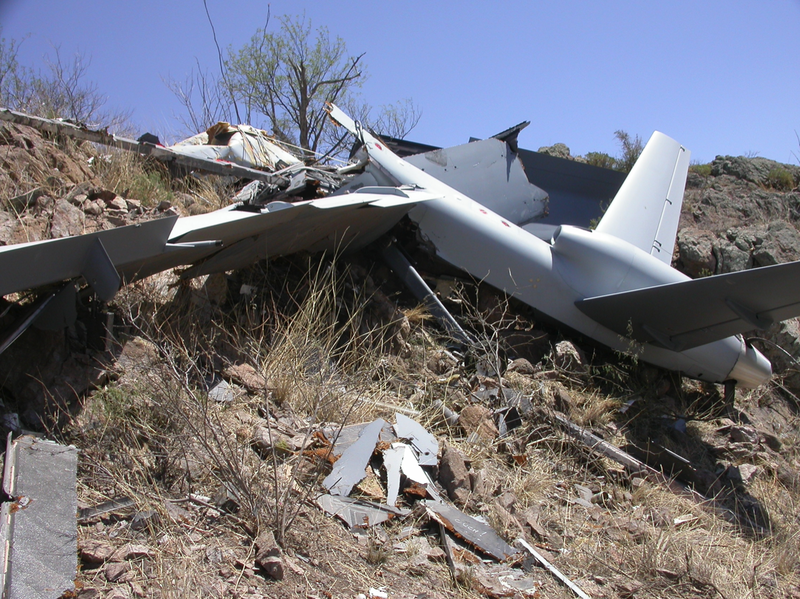 The U.S. military uses unmanned aerial vehicles (UAVs) for training, reconnaissance and coordinated strikes, but there is something that is often overlooked: when these large aircraft spiral out of control and slam into the ground. There have been at least 400 military drone crashes since 2001, according to a Washington Post report. Acquiring data through the Freedom of Information Act, drones typically crash due to mechanical issues, human mistake, or rough weather, among other reasons. The published report comes at a critical time, when the federal government wants to allow drones to fly in the same airspace as commercial aircraft. "Flying is inherently a dangerous activity," said Dyke Weatherington, Pentagon director of unmanned warfare, in a statement. "You don't have to look very far, unfortunately, to see examples of that. I can look you square in the eye and say, absolutely, the [Defense Department] has got an exceptional safety record on this and we're getting better every day." Oddly, there have been a few military drones that simply vanished and U.S. investigators weren't able to find or recover the UAVs.